A Changing Climate: Is There Still a Case for Greener Trucks? Black smoke was once the inky signature of diesel engines everywhere. Now it has all but disappeared. A 1998 model year truck actually belched 35 times more smog-producing NOx and 60 times more particulate matter than equipment built to meet 2010 emissions standards, and that’s before regulators turned their attention to greenhouse gases. The trucking industry’s environmental gains have not been limited to diesel, of course. 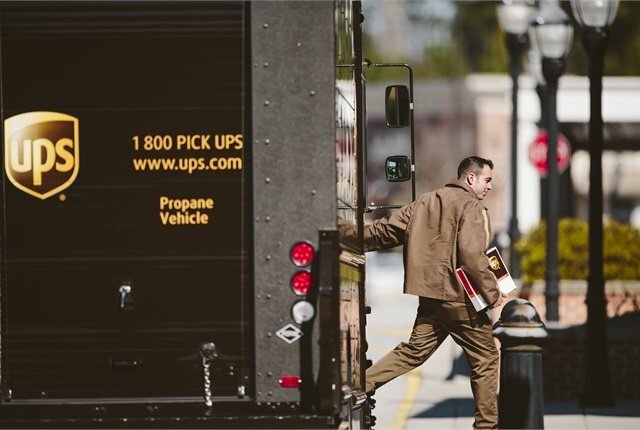 Clean-burning fuels from natural gas to propane autogas, and even battery power, are now viable options, especially where medium-duty trucks and predictable operating ranges are involved. Nikola Motors has taken a further leap, pledging to produce electric Class 8 trucks as early as 2020, and Tesla says it will unveil one come September. Still, there is no mistaking a change in the underlying business climate. Steep diesel prices helped to make the business case for alternative-fueled equipment, which tends to come with premium price tags. Now diesel is relatively cheap. A new administration in the White House, meanwhile, wants to slash funding for the U.S. Environmental Protection Agency, which largely sets the emissions rules. Then there’s the fact that increasingly, truck makers are designing for a global audience, and while President Trump may have just pulled out of the Paris climate accord, all but two other countries are still involved. And close to home, Canada’s federal government remains committed to aggressive targets of its own. Wilfried Achenbach, Daimler Trucks North America’s senior vice president – engineering and technology, just wants options to be compared fairly. Commitments to reduce greenhouse gases will require the trucking industry to “put on the brakes” when it comes to its thirst for diesel, he agrees. But a focus on “well to wheels” also considers emissions that emerge when producing different energy sources capable of moving a vehicle. “Electricity is not for free environmentally." “Electricity is not for free environmentally,” he explains. In the U.S., 39% of that power comes from burning coal, and 28% is from burning natural gas, which means diesel and electric powertrains are equally as clean. Each generates about 1.7 pounds of carbon dioxide to create a kilowatt-hour of energy. “Currently with our energy mix, it doesn’t make any sense to go electric,” he says. A shift in the equation would require more of the electricity to be produced through renewable sources like wind turbines or solar panels. That would require political will. And money. Even when an electric option is possible, it’s not necessarily practical. Battery packs capable of the type of range needed for long-haul routes are expected to be heavy and expensive. That helps explain why electric rollouts have so far focused on lighter commercial equipment. But a business case for these zero-emission vehicles is clearly emerging. Several major cities around the world have announced goals to restrict access to internal combustion engines. Ford, meanwhile, has just expanded its Qualified Vehicle Modifier program to include companies such as XL Hybrids, Lightning Hybrids and Motiv Power Systems that develop and install electrified and hydraulic hybrid powertrains. Options already include the Ford F-650 and F-750 medium-duty trucks, Transit and E-series vans and chassis. Such clean-running vehicles deserve to be seen as more than experiments. As recently as three years ago, most of CARB’s financial incentives focused on early research and development. Now the money is more likely to be invested in ways to commercialize the equipment that emerged. “We’re past the teething issues of reliability,” says Reuben Sarkar, the U.S. Department of Energy’s deputy assistant secretary for transportation, referring to 30 makes and models of zero-emissions vehicles now on the market. “You’re going to be getting falling technology costs in the future.” The battery power that cost US $1,000 per kilowatt hour in 2008 is expected to cost $125 by 2022. Once it reaches $80 per kilowatt hour, the battery costs align with diesel and gasoline prices. Environmentally friendly options are not limited to batteries, of course. Available fuels include renewable forms of propane, natural gas, and even diesel. Dimethyl Ether (DME) can be produced from organic waste. More readily available alternative fuels include propane and compressed or liquefied natural gas. “Heavy trucks that replace diesel with natural gas reduce their [greenhouse gas] emissions up to 25%,” says Stephanie Trudeau, senior vice president – regulatory framework, customers and communities at Quebec-based Gaz Metro, which distributes the fuel. Generate the natural gas from organic waste, something that is already fueling select waste management fleets, and the truck will save even more. “There’s a certain amount of demand that’s going to be there even in a low-diesel-price environment because customers have a duty cycle that’s just perfect for natural gas,” says Cummins Westport president Rob Neitzke. Think of medium-duty fleets that can be refueled overnight with slow-fill compressed natural gas connections in a shop, or operations with gross vehicle weights under 80,000 pounds that can be pulled with available 12L engines. “There’s a certain amount of demand that’s going to be there even in a low-diesel-price environment because customers have a duty cycle that’s just perfect for natural gas." Besides that, natural gas is still cheaper than diesel, he notes. “Even with diesel prices being lower, propane prices are pretty cheap as well,” adds Todd Mouw of Roush CleanTech, which makes and installs related fuel systems. And where diesel engines can now produce as little as 0.2 grams of NOx per horsepower hour, propane models hover around 0.05. Displays at this year's Work Truck Show included a Ford F-650 that runs on propane, and an F-750 medium-duty box truck that was being tested by a local bakery. Not only that, there is no need for a DPF and the related regen cycles, says Tucker Perkins, chief development officer with the Propane Education and Research Council. Other advantages when compared to diesel include longer oil drain intervals and quicker starts. Each tank stores about 85% of the content found in gasoline.